* The Head of Finance, Resort Group, Mrs. Yosola Popoola and Head of Public Relations,, BASL, Mr. Steve Omolale,briefing journalists at MMA2 ,Lagos yesterday. 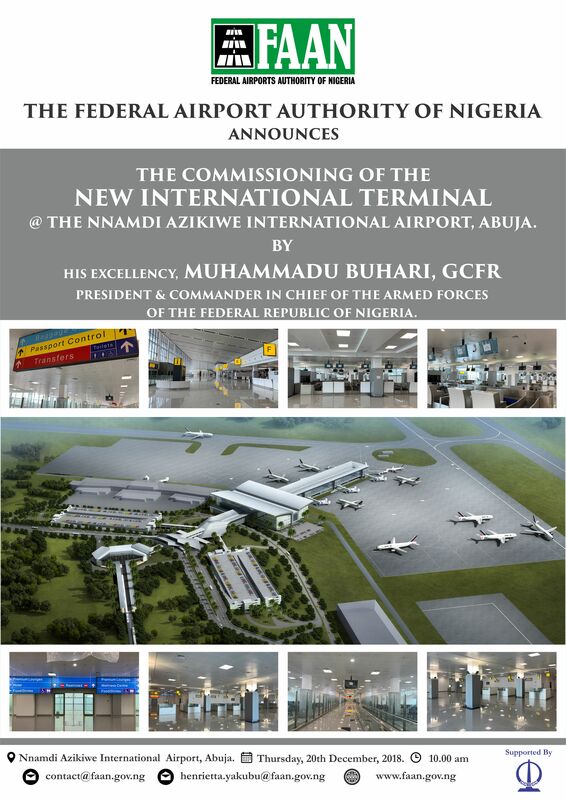 Business activities at the Murtala Muhammed Airport Terminal Two (MMA2,Lagos remain grounded , as the siege laid by the Air Transport Services Senior Staff Association of Nigeria (ATSSSAN), the National Union of Air Transport Employees (NUATE) and the National Association of Aircraft Pilots and Engineers (NAAPE) enters day two. 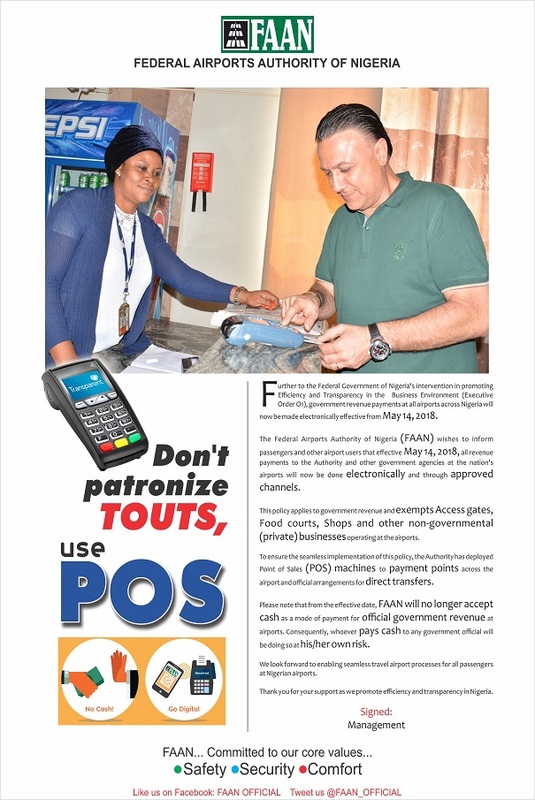 This just as concessionaires, customers business and employees working at the terminal embarked on a counter protest against the unions, describing the unions’ action as a ploy to destroy one of the best flagships of the private sector industry in the provision of services in Nigeria. 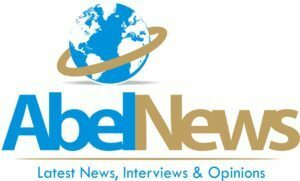 However, feelers reaching Abelnewsng.com indicates that the unions will only call off the industrial action unless the 27 staff are re-engaged. At the terminal this afternoon, at about 2.30pm, aviation union members, bouncers from Bi-Courtney Aviation Services Limited (BASL), Policemen from the Airport Police Command were seen at the main entrance of the gate. The union members in their usual characteristics were also seen dancing to Fela music blaring from a rented musical instrument. 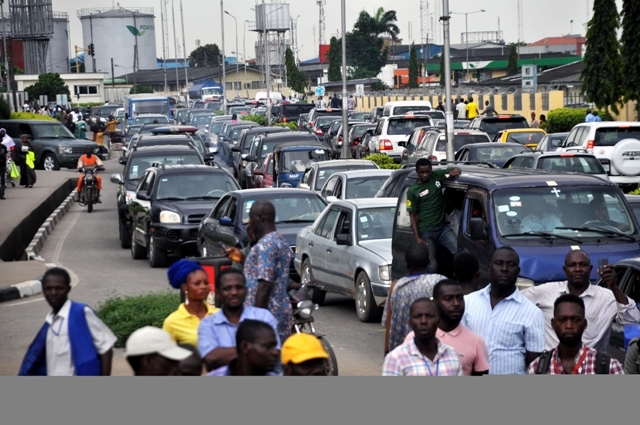 When AbelNewsng.com visited the terminal, two rusty trucks belonging to BASL were used to block the entrance and exit gates, while union members were also blocked both entrances. 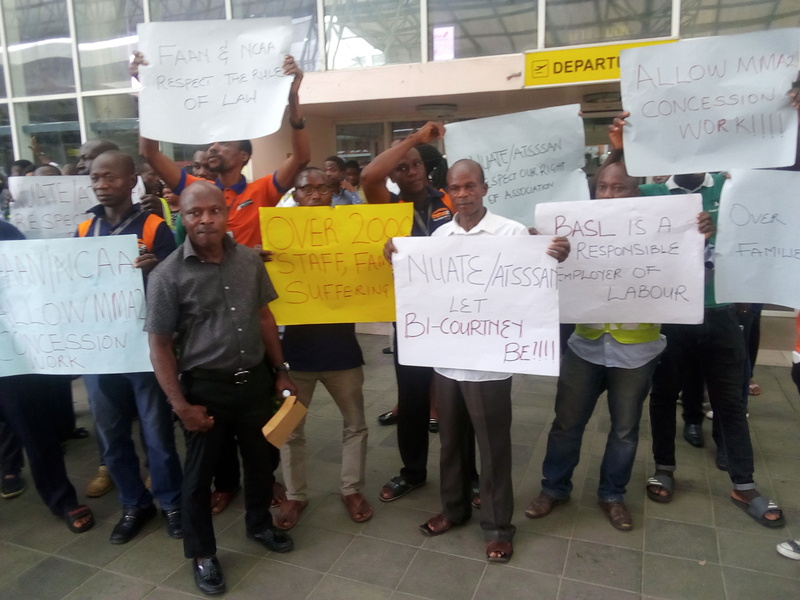 Also at the terminal were protesters carrying placards with different inscriptions such as: “NUATE/ATSSSAN let Bi-Courtney be”, “BASL is a responsible employer of labour, unions should stop troubling Bi-Courtney” among others. Speaking to journalists on the shutdown of the terminal, the Head of Finance, Resort Group, Mrs. Yosola Popoola, said that the people protesting are BASL but concessionaires ,customers ,business and employees ,who according to her number over 2,000 and who contributed hundreds of millions of Naira to Nigeria’s economy who are wondering why this is happening. She stated that there are over 500employees in MMA2, lamenting that only 27 people, who have disciplinary issues with the company are now using the unions to destroy the business. 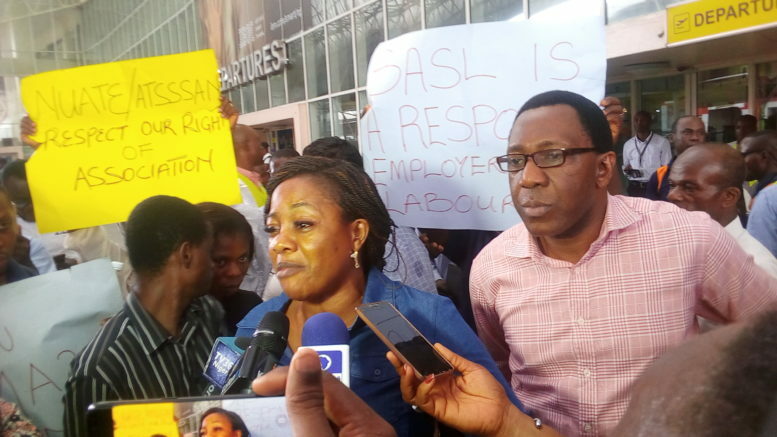 Popoola pointed out that BASL is a responsible corporate citizen determined to contribute extensively to the economy of Nigeria, wondering why 27 people would be allowed to use the unions to cripple the business of a major concern. * Traffic gridlock on the road linking domestic and international terminal caused by the ongoing unions siege at MMA, which enters day two today. The Head of Finance, Resort Group, frowned at the action of the Police, which according to her allegedly and deliberately refused to protect the citizen of Nigeria in the process of carrying out their business activities, adding that it is more worrisome because there is a specific court order restraining the unions from carrying out industrial action against BASL and also directing the police to ensure that MMA2 is open for business. Meanwhile, Dana Air, one of the affected airlines operating from MMA2, said it has relocated to the General Aviation Terminal (GAT). Be the first to comment on "Concessionaires, Customers, Employees Embark On Counter Protest Against Unions At MMA2"